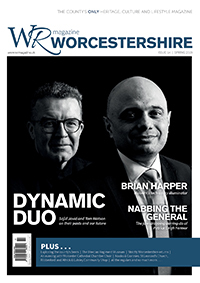 WR magazine is available on a complimentary basis throughout Worcestershire from more than 1,000 locations . . . and this will continue. A large number of people have, however, told us they would like to guarantee they receive a copy of the magazine and so we have created a subscription service to satisfy their needs. Currently, the magazine is published quarterly and you can have each of the next four issues delivered to your door (UK only) for an annual subscription of £24.95, inclusive of postage and packing (P&P). You can also purchase a single issue of the magazine for £6.50, inclusive of P&P. To pay by cheque (or to purchase a single issue), simply download the below form, print it out, fill it in and send it to us. Alternatively, click on the Paypal link below. For overseas purchasers, please email us in the first instance.